Since Wooten recommended Quartet I figured that would be a good place to start. Wooten can be a serious cheeseball sometimes but the guy knows his stuff when he his talking about music. One of the great things about this album besides the bass playing by Carles Benavent is the hang player. I thought that this quartet featured a steel pan player at first but when I looked it up no one was listed as playing the steel pans but there was a “hang” player. I didn’t know what an instrument called the “hang” was so I had to look it up. It’s sometimes referred to as a “hang drum” but the makers prefer “hang” so that’s how it is listed. Either way it is modified from the steel pans and is played with your hands like a drum. It sort of looks like they took two giant woks flipped one on top of the other and then hammered it to make it into an instrument. It’s an interesting instrument that seems like it is still being developed but it adds an unique taste to the music that is almost Caribbean but not quite. Ravid Goldschimdt seems like he is an accomplished hang player and has a few videos floating around of him demonstrating how to play the hang. Overall Quartet is a great jazz album with good songwriting and playing by all of the musicians but especially by Carles Benavent and Ravid Goldschimdt. Benavent’s bass playing and Goldschimdt’s hang work really well together and I hope they record some more music. The quartet is made up of Benavent on bass, Ravid Goldschmidt on hang, Jordi Bonell on guitar, Roger Blavia on drums, and a few guest musicians thrown in to the mix as well. Since three quarters of the band play rhythmic instruments this album is very rhythmic, but due to the nature of the hang and Benavent’s style it is also very melodic. It’s not in your face rhythm either but more relaxed and chill. The music is a hard style to describe besides just calling it world jazz which doesn’t really say much. It’s a little bit flamenco, little bit world music, and a little bit jazz-fusion. It’s much easier just to hear it for yourself. The second track “La Luz” does a good job of illustrating the style of this album. 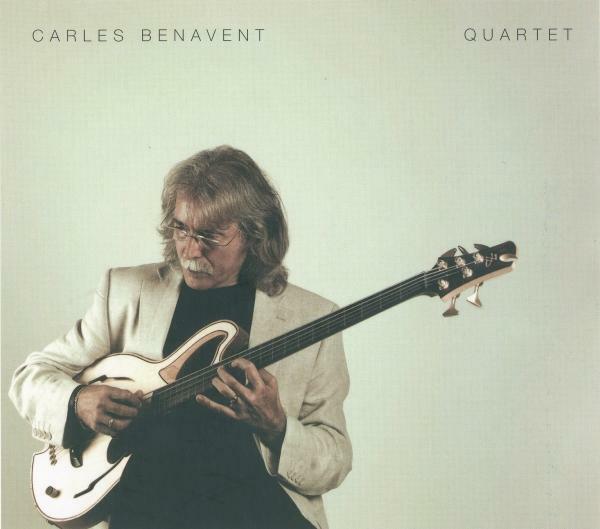 I really like Carles Benavent’s Quartet because it is not only a great album to listen to but also introduced me to some new musicians and a new instrument that would be fun to get my hands on.